I thought this was worth mentioning, because, it looks just kinda stupid. 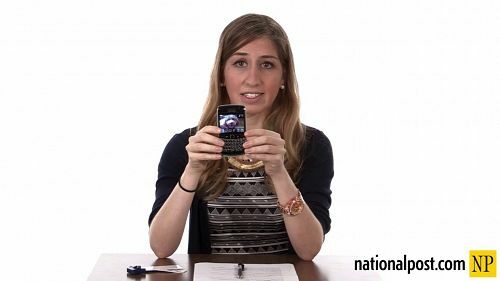 So, they compared the newly released Apple iPhone 6 to that of a BlackBerry Bold 9700 that has been with her for 5 years (it has actually been out for 5 years). In essence, they are saying that the iPhone 6 is only better than the 5 year old BlackBerry Bold device, and whatever released after that is probably better, that the iPhone is lousier than. Category: BlackBerry 10, BlackBerry Smartphone, Bold 9700/9780 Curve 8980, News! Are you stupid or were you paid by Apple for that? Are you even Canadian? No I am not Canadian, but the guys who did it might be! Yup, that is exactly the point. Shoot it out over to National Post to let them know what you think!